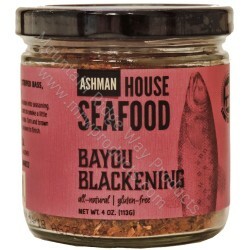 Get that Cajun flavor on salmon, striped bass, tuna! Also great on chicken, pork or flat iron steak. Rub it on then pan fry, bake or grill. Try on some catfish for a real treat. 4 oz. Jar. Gluten Free.